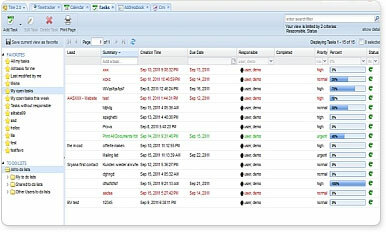 Tine is an open source project which combines groupware and CRM in one consistent interface. Tine is web-based and optimises collaboration and organisation of groups in a lasting manner. Tine unites all the advantages of open source software with an extraordinarily high level of usability and an equally high standard of professional software development. This is what makes the difference between Tine 2.0 and many other existing groupware solutions. Tine is released under the AGPL license.